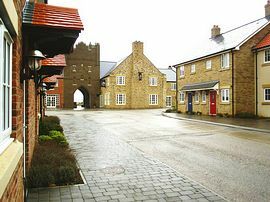 The cottage is set within the exclusive coastal holiday village of The Bay, Filey, which is the setting for a perfect holiday. 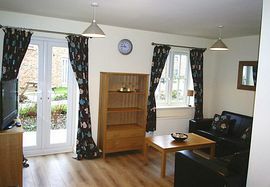 It is set within 100 acres of parkland and wildlife lakes. Guests benefit from private access to the 5 mile long award winning beach. 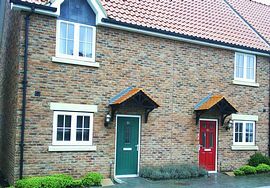 It is the perfect base to explore the nearby seaside towns of Scarborough, Bridlington & Whitby, or the beautiful North York Moors, which are all within 1 hrs drive. There is a family friendly public house, which serves tasty meals and traditional ales, also a coffee shop and pharmacy. Planned opening of leisure facilities including swimming pool, tennis courts and other activities are due to open April 2011. Seaside W.C and understairs storage, leading to open plan kitchen-diner and living room, with French doors opening onto your own paved patio area. Upstairs there is 1 double and 1 twin bedroom and a family bathroom with large bath-shower above. Bed linen and towels and tea towel provided. Flat screen TVs with freeview DVD player. Travel cot-high chair available (small charge). On the day of arrival the cottage will be available from 2pm and must be vacated by 10am on the day of departure. A 20% non-refundable deposit must be paid within 14 days of booking. The balance must then be paid no later than 6 weeks before your arrival date. If your holiday is booked within 6 weeks of your arrival then full payment must be made at time of booking. All persons staying at Seaside cottage do so at their own risk and we accept no responsibility for personal injury, loss or damage to personal property. All bed linen, towels and tea towels. Small patio area with table and chairs. Local Services: Pub, pharmacy, coffee shop, convenience store. 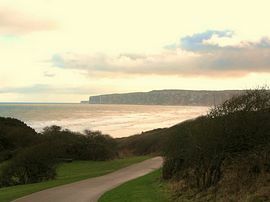 The cottage lies approximately 3 miles south of the coastal town of Filey. Just past Primrose Valley on the left hand side, you will find The Bay where the property is located. 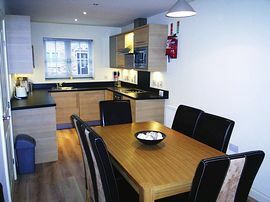 1 week stay from: £285 to £699 and short stays from: £165 to £389, depending on time of year.